← How to choose building aluminum plate? Are you looking for precisioor strip? We can meet your tight tolerances and deliver flat-rolledaluminum coil or strip to your specifications. Contact us today. 1000 series aluminum strip has excellent corrosion resistance and satisfactory anodizing and conversion coating finishing characteristics. It is unmatched by any other commercial aluminum alloy in workability. 3000 series aluminum strip is widely used for manufacturing radiators, condensers, evaporators, charge air coolers, transmission oil coolers. 5000 series aluminum strip can be used to manufacture the fuel tanks and oil pipes of airplanes, sheet-metal parts and instruments of vehicles and ships, rivets and brackets of streetlights, hardware, etc. We roll aluminum strip/tape to thicknesses ranging from .010″ to .250″. The specific gauge capability is dependent on the alloy, temper and width requirements for specific orders. Our mill enables us to hold consistent and exceptionally tight gauge tolerances, and in many cases we can hold to more than half of the required commercial tolerance. Our slitting lines are dedicated to processing specific gauge ranges to ensure the highest quality slit edge. 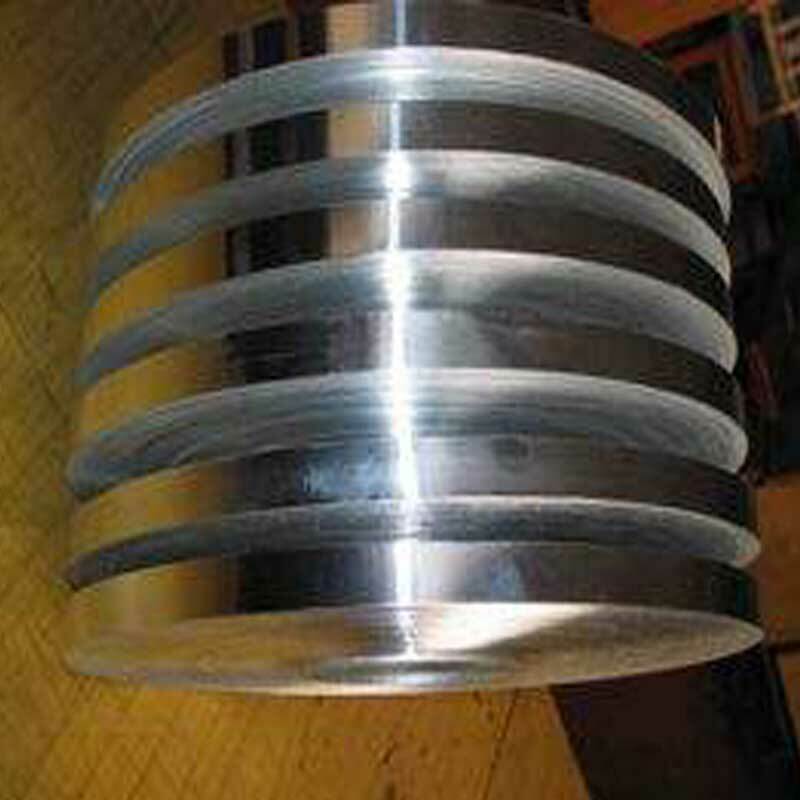 Coils can be slit from as narrow as .375″ to as wide as 60″. Coils can be provided on IDs of 6″, 10″, 12″, 16″ or 20″ and ODs as large as 64″. Our cold rolling mill enables us to provide coils up to 20″ wide. Although this represents the maximum width, it is dependent on certain variables such as flatness requirements and temper. We will always advise our customers as to the best options for their specific product needs. This entry was posted in aluminium strip and tagged aluminum strip, aluminum tape. Bookmark the permalink.